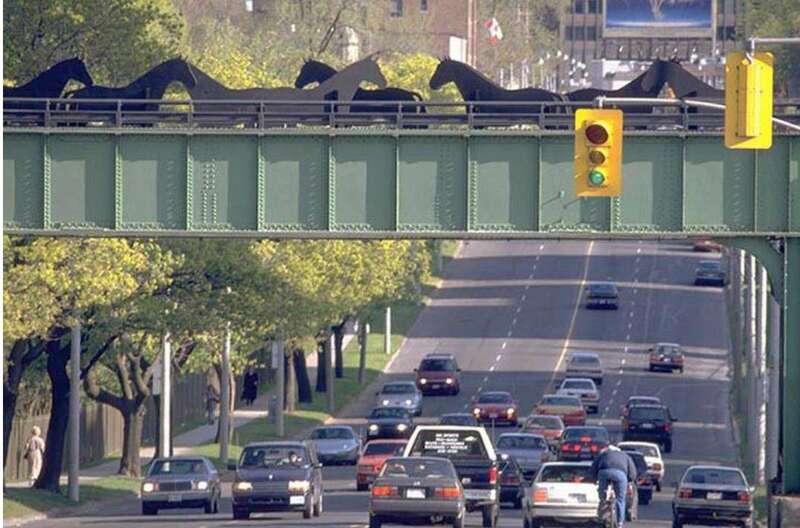 As part of its Streetscape Master Plan, the Midtown Yonge Business Improvement Area, in partnership with the City of Toronto, proposes to reinstall the much-loved “Iron Horse” public art display on the Kay Gardner Beltline Bridge. Originally installed in 1994, the new “Iron Horse” will be artistically illuminated via an unobtrusive, single solar panel installation immediately east of the Bridge. The positioning of Iron Horse will not impede travel across the bridge or regular maintenance such as snow removal. The BIA and City staff invite you to attend the following open house to learn more about the project.